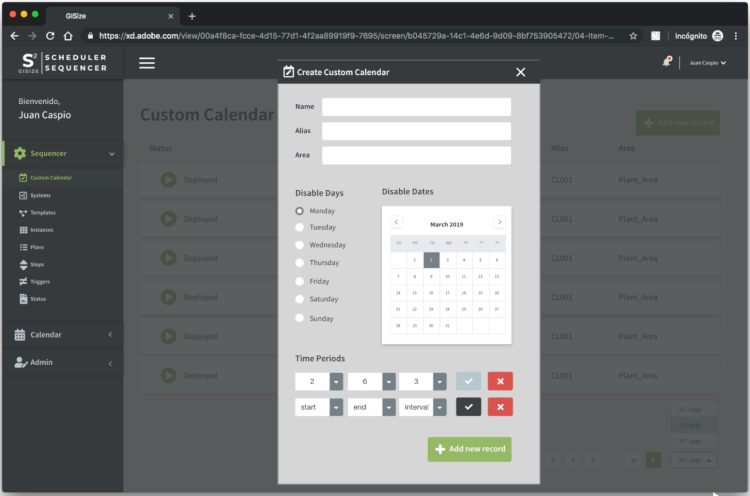 A solution to use within Wonderware System Platform, that allow the end-user to create sequences of operations (steps) to be executed by a trigger, when an user request it or scheduled as a calendar event. Allow to model any object that will be used in plans or events, in an intuitive schema for end users. Allow to instantiate asset Templates and customize its properties. 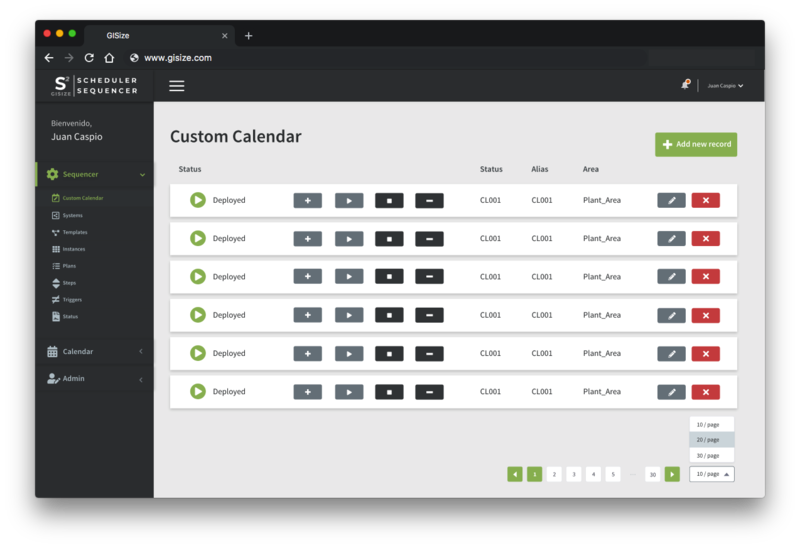 It’s a group of asset instances linked to a custom calendar. In Critical Environments, the execution must be done in the control systems. The module provides Wonderware objects with the ability to interpret the configured plans and execution plans and sends them to the corresponding PLC. In non-critical environments, the sequences and schedules can be executed by Wonderware objects that are provided as part of the solution. Create, edit or delete plans and events. Complete the following form and you will be able to touch the GISIZE Scheduler & Sequencer Module at AVEVA Channel IGNITE 2019. We will contact you to reserve a slot in the demo agenda. Check this box if you want to receive communications from Wonderware Spain.